LGS Innovations has hired Jeff Beck as executive vice president and chief financial officer, tapping the former DRS Technology executive to replace retiring CFO John Fitzgerald. Beck will set LGS financial objectives in support of the company’s strategic initiatives, working closely with the LGS executive team, its customers and suppliers, the company said. He is responsible for the company’s business management, including the controller, treasury, and pricing and supply chain functions. He also oversees financial planning, risk analysis and management, tax filings, real estate asset and investment management, and policy and strategy development. Beck has more than 30 years of government contracting-related experience, including more than 20 years in a CFO role. 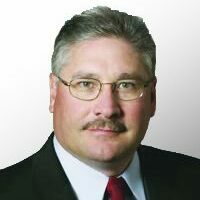 He previously served as CFO for DRS Technologies’ C4ISR Group, which produces tactical communications and ISR solutions for the Defense Department, and has also held CFO and finance management positions with QinetiQ North America, STG Inc., Getronics Government Solutions, Raytheon and Lockheed Martin. LGS also recently appointed a new senior vice president of cyber solutions, choosing Kevin McNeill to head up R&D for the company’s Internet Cybersecurity Research Department and the Telecommunications Studies and Guardian Solutions.